Sweet picture of Apollo. He has the most beautiful eyes. 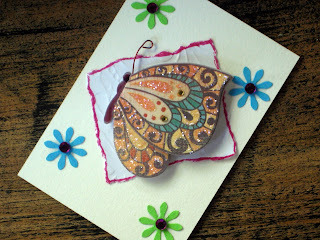 I love your Butterfly ATCs. I should get mine today since My Guy is coming up to GV. Can't wait. Yes, you do need to let you writs and arms rest but be sure to comment on my blog. Hehe. 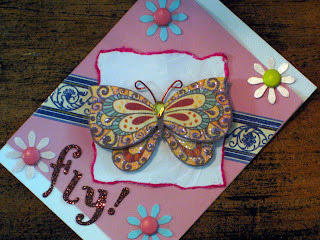 Very pretty ATCs! It's always fun to see what theme you guys will come up with! Sometimes I read blogs on my iphone and don't get around to commenting. I try to make it back but since I have been out of town, the comments are behind! I'm with you, I enjoy reading the blogs and comment as often as I can! Big hugs my friend, take a rest... sounds like you have been busy! 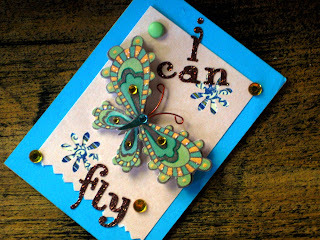 Great ATC's...especially loved the word addition 'fly'...since butterflies are signs of transformation in our lives perhaps giving us new opportunities to fly. Take care of your arms and wrists, ok? 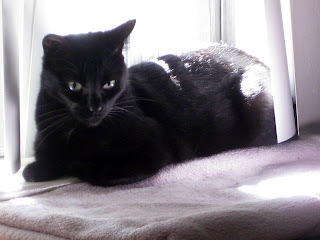 I've been quite absent in blogland, too... just so busy with summer and all of that. Those butterflies are awesome! 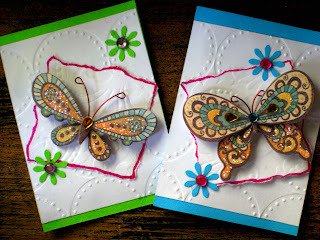 Your butterfly cards are gorgeous! And Apollo is such a cutie. Take care of those wrists. You don't want to end up with carpel tunnel. Your cards are gorgeous! You did a great job on them!